Chief Operating Officer and a co-founder of the Global Innovation Fund. 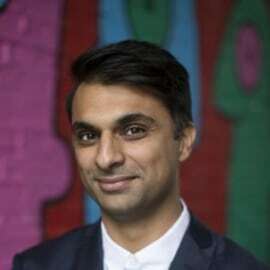 Nishant leads the fund's strategy development and operations and chairs the fund's investment committee. Nishant also runs GIF's portfolio management team, which is responsible for increasing the social value created by the institutions GIF invests in. Prior to GIF, Nishant was a founder of the Monitor Inclusive Markets group in India that focused on market-based solutions for poverty. In this role he worked directly with the CEOs of many social enterprises in India to help drive growth. He also worked with the UNDP in Zambia, where he helped develop new financing products for supply chains that engaged small businesses.